During a ski holiday in the Isarco Valley, alpine skiers will have just as much fun as cross-country skiers or snowshoers. The family ski area Filler offers ski lifts that are located directly in the heart of S. Maddalena, very near the farm Proihof. This ski resort is particularly popular with families who want to enjoy all together a ski holiday in the Isarco Valley. Since it is a rather small area, children may learn how to ski in a safe and fun way. This does not mean that ambitious snowboarders and skiers will get bored, there is plenty of choice for them, too. Skiers of all ages love to visit the lodge Skihütte, which is located directly next to the valley station of the Filler Ski Lift. Here, the skiers can warm up and strengthen for their next adventures on the slopes. 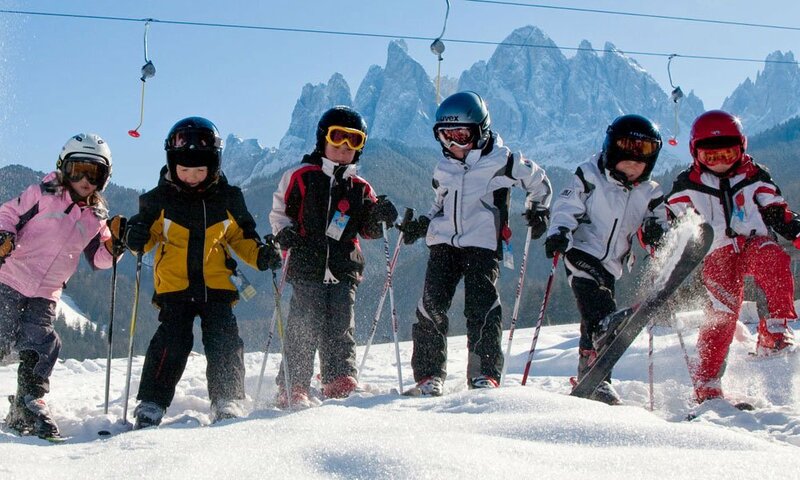 Usually children who spend their ski holidays Isarco Valley in Funes, make their first skiing attempts off the regular slopes in the Snow Fun Park. 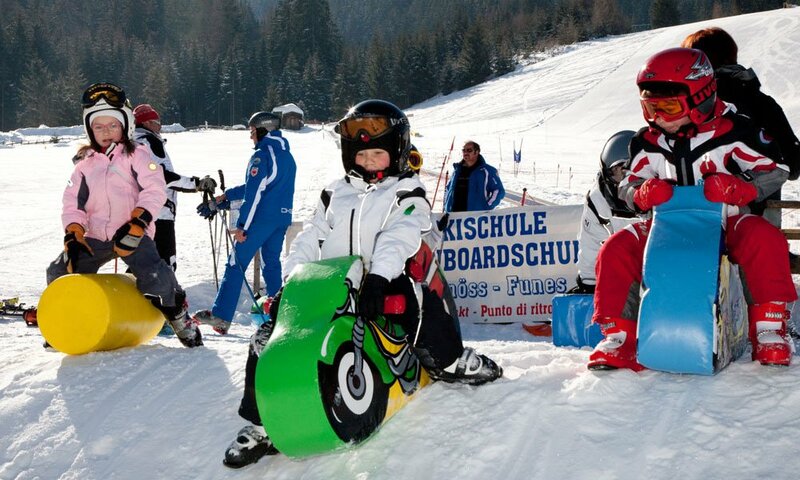 There is a dedicated fun and animation area, where the ski lessons and courses for children take place. And while the children make the first experiences in the snow, you may relax on the terrace of the lodge Skihütte and watch your children. Thanks to its central location, the Funes Valley offers adventurous skiers the possibility to discover many other ski resorts in the region. During the Christmas season and carnival holidays, there is a free shuttle bus to Mount Plose. A special winter bus will take you to the famous Ski Safari Chiusa. 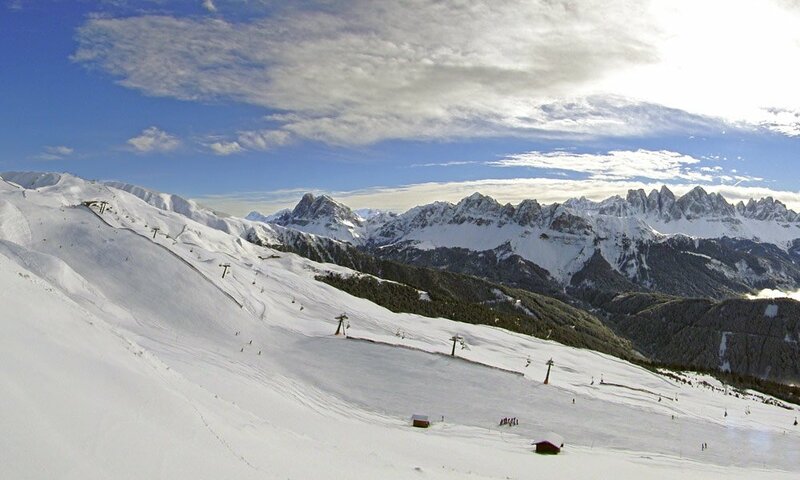 With the DolomitMobilCard, you may visit the Funes ski area once a week free of charge.